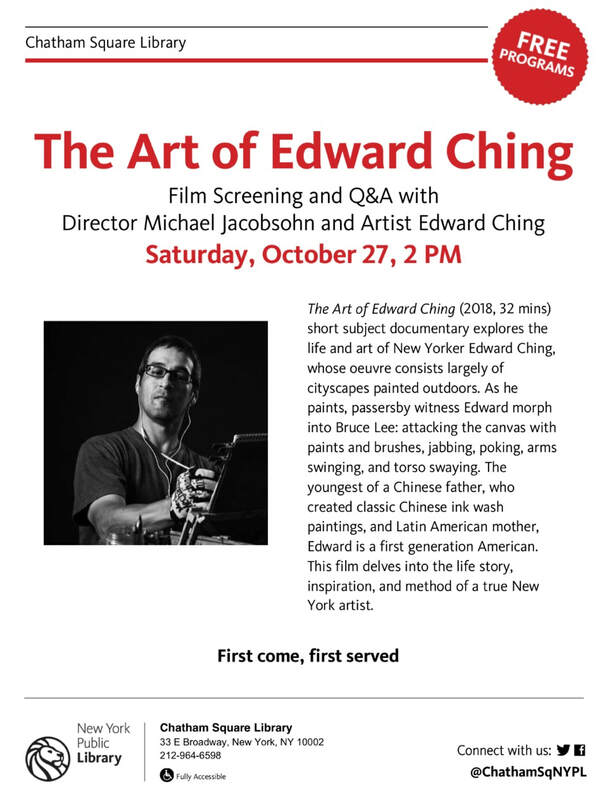 There will be second screening of the documentary film “The Art of Edward Ching” by Michael Jacobson. Please save the date! 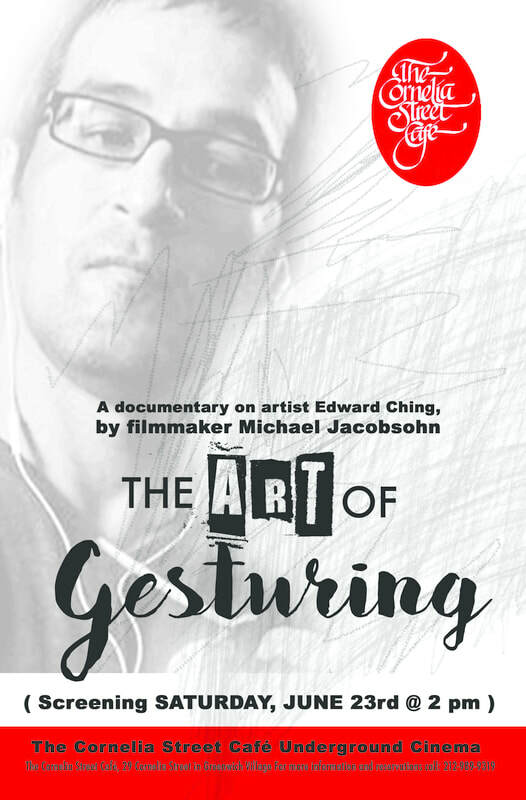 Documentary filmmaker, Michael Jacobsohn, for several years, has been shooting a film about my life as a painter. Now it’s ready for its first screening. 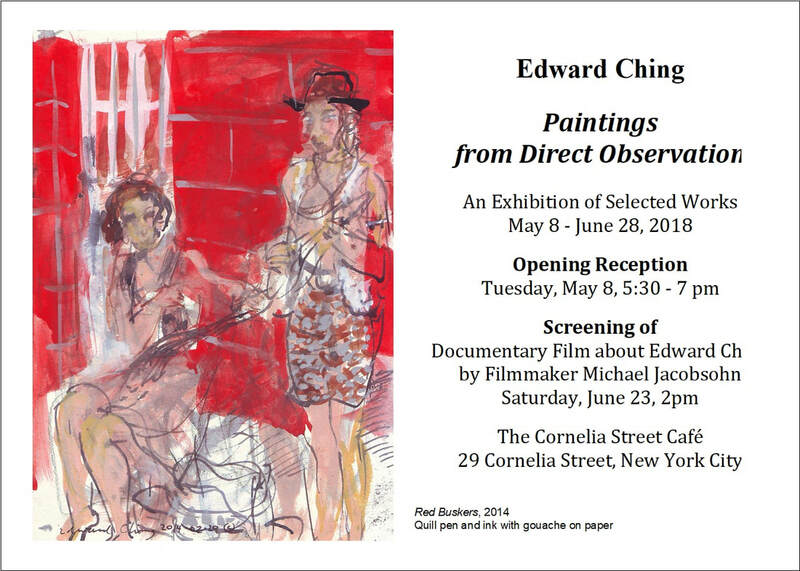 The film will be shown on Saturday, June 23rd at 2PM, in the same venue as my show at Cornelia Street Cafe. 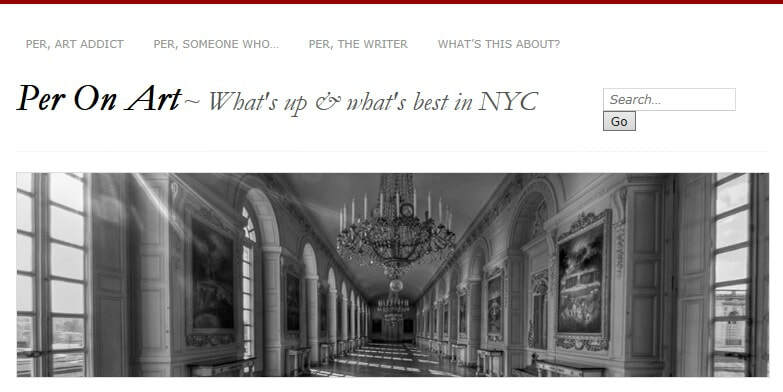 Stay tuned for more information.